Happy New Year! People like to ponder grand themes each time the Earth completes another orbit around the Sun, so let’s give that a try. Maria Mannone is a musician who studies the relation between mathematics, music and the visual arts. We met at a conference on The Philosophy and Physics of Noether’s Theorems. Later she decided to interview me for the blog Math is in the Air. There’s a version in English and one in Italian. She let me reprint the interview here… so with no further ado, here it is! MM: You are one of the pioneers in using the internet and blogs for scientific education, with ‘This Week’s Finds.’ Which words would you use to feed the enthusiasm of young minds towards abstract mathematics? JB: It seems only certain people are drawn to mathematics, and that’s fine: there are many wonderful things in life and there’s no need for everyone explore all of them. Mathematics seems to attract people who enjoy patterns, who enjoy precision, and who don’t want to remember lists of arbitrary facts, like the names of all 206 bones in the human body. In math everything has a reason and you can understand it, so you don’t really need to remember much. At first it may seem like there’s a lot to remember – for examples, lists of trig identities. But as you go deeper into math, and understand more, everything becomes simpler. These days I don’t bother to remember more than a couple of trigonometric identities; if I ever need them I can figure them out. MM: I love the reference to patterns, and the beauty to find. Thus, we can say that mathematical beauty is not ‘all out there’ as the beauty of a flower can be. Or, that some beautiful geometry present in nature can give a hint or can embody some mathematical beauty, but people have to work hard to find more of it—at least they have to learn how to look at things, and thus, how to mathematically think of them. JB: I think all forms of beauty are closely connected, and I think almost anything can be beautiful if it’s not the result of someone being heedless to their environment or deliberately hurtful. It’s not surprising that flowers are very easy to find beautiful, since they evolved precisely to be attractive. Not to humans, at first, but to pollinators like birds and bees. It’s imaginable that what attracts those animals would not be attractive to us. But in fact there’s enough commonality that we enjoy flowers too! And then we bred them to please us even more; many of them are now symbiotic with us. Something like a bone only becomes beautiful if you examine it carefully and think about how complex it is and how admirably it carries out its function. Bones are initially scary or ‘disgusting’ because when they’re doing their job they are hidden: we usually see them only when an animal is seriously injured or dead. So, you have to go past that instinctive reaction—which by the way serves a useful purpose—to see the beauty in a bone. Mathematics is somewhere between a rose and a bone. Underlying all of nature there are mathematical patterns – but normally they are hidden from view, like bones in a body. Perhaps to some people they seem harsh or even disgusting when first revealed, but in fact they are extremely elegant. Even those who love mathematics find its patterns austere at first—but as we explore it more deeply, we see they connect in complicated delicate patterns that put the petals of a rose to shame. MM: Thus, there seems to be an intimate dialogue between nature, both visible and hidden, and mathematical thinking. 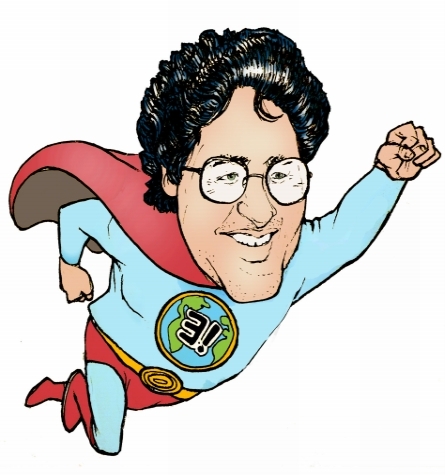 About nature and environment: in your Twitter image, there is a sketch of you as a superhero saving the planet, with the mathematical symbol ‘There is one and only one’ applied to our planet Earth. Can you tell the readers something about the way you combine your research in mathematics with your engagement for the environment? Also, it is often said that beauty will save the world. 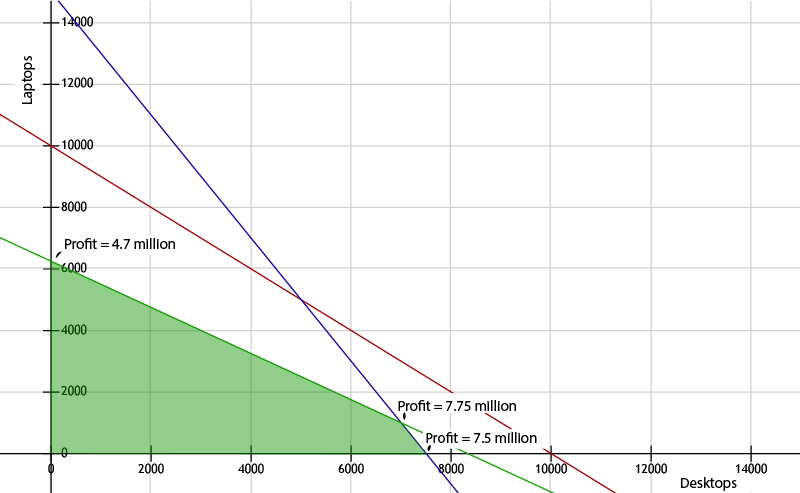 Do you think that mathematical beauty can save the world? To my mind it’s more beautiful and precious than any painting. Not the individual, of course, but the species, which has taken millions of years to evolve. We are busy destroying species like this as if they were worthless trash. Our descendants, if we have any, will probably think we were barbaric idiots. But I digress! I switched from pure mathematics and highly theoretical physics to more practical concerns around 2010, when I spent two years at the Centre for Quantum Technologies, in Singapore. I was very lucky that the director encouraged me to think about whatever I wanted. I was wanting a change in direction, and I soon realized that mathematicians, like everyone else, need to think about global warming and what we can do about it: it’s the crisis of our time. I spent some time learning the basics of climate science and working on some projects connected to that. It became clear that to do anything about global warming we need new ideas in politics and economics. Unfortunately, I’m not especially good at those things. So I decided to do something I can actually do, namely to get mathematicians to turn their attention from math inspired by the physics of the microworld—for example string theory—toward math inspired by the visible world around us: biology, ecology, engineering, economics and the like. I’m hoping that mathematicians can solve some problems by thinking more abstractly than anyone else can. So to finally answer your last question: I’m not sure the beauty of mathematics can save the world, but its beauty is closely connected to clear thinking, and we really need clear thinking. MM: Yes, in a certain sense, despite culture, technology, and thousands of years of human history, people are quite primitive when it comes to evaluating beauty as detached from the economy. You brought up an important point: the research focus of mathematicians. This is a tricky point because young researchers are kind of split between following new ideas and projects, and the search for funds, that often leads them to join existing projects or just well-funded areas and to put aside their more ‘visionary’ ideas. What would be your suggestion to find a balance? JB: I don’t know if I can give advice here: I’ve never needed to search for funds, I get paid to teach calculus and other courses, so I always just do the best research I can. That’s already quite hard—I could talk all day about that! I suppose if you’re struggling for funds you have to fight to remember your dreams, and try to work your way into a situation where you can pursue these dreams. I imagine this is also true for any entrepreneur with a visionary idea. Academics struggling to get grants really aren’t all that different from executives in a large corporation trying to get funding for their projects. MM: My last question is about the theme of peace, very important to the Baez family. Many innovations are related to the military. Do you think that the needed clear thinking you mentioned, can first of all come from times, themes, and ideas of peace? If this were a war, and these were humans dying, this would be the worst war the world has ever seen! But these changes will not merely affect other species; they are starting to hit us too. We need to wake up. We will either deliberately change our civilization, quite quickly, or we will watch as our cities burn and drown. Isn’t it better to use that intelligence we humans love to boast about, and take action? MM: Thank you Professor, I hope these words will enlighten many people. 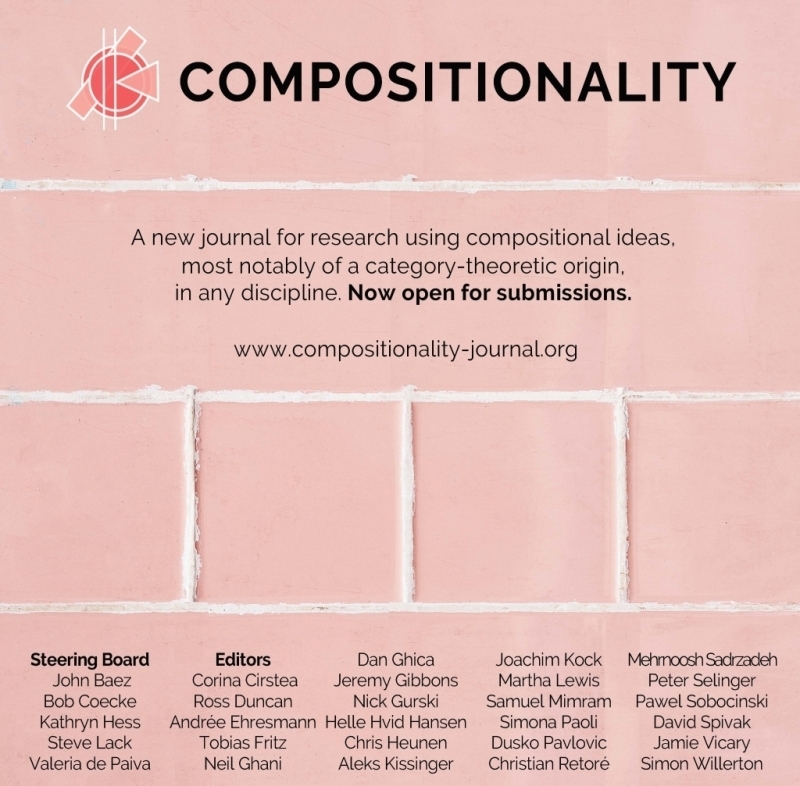 Our new journal Compositionality is now open for submissions! It’s an open-access journal for research using compositional ideas, most notably of a category-theoretic origin, in any discipline. Topics may concern foundational structures, an organizing principle, or a powerful tool. Example areas include but are not limited to: computation, logic, physics, chemistry, engineering, linguistics, and cognition. Compositionality is free of cost for both readers and authors. To submit a manuscript, please visit http://www.compositionality-journal.org/for-authors/. Submissions should be original contributions of previously unpublished work, and may be of any length. Work previously published in conferences and workshops must be significantly expanded or contain significant new results to be accepted. There is no deadline for submission. There is no processing charge for accepted publications; Compositionality is free to read and free to publish in. More details can be found in our editorial policies at http://www.compositionality-journal.org/editorial-policies/. Given what I have, is it possible to get what I want? Given what I have, how much will it cost to get what I want? Given what I have, how long will it take to get what I want? Given what I have, what is the set of ways to get what I want? • Bob Coecke, Tobias Fritz and Robert W. Spekkens, A mathematical theory of resources. • Tobias Fritz, Resource convertibility and ordered commutative monoids. • Tobias Fritz, Resource convertibility (part 1), Azimuth, 7 April 2015. • Tobias Fritz, Resource convertibility (part 2), Azimuth, 10 April 2015. • Tobias Fritz, Resource convertibility (part 3), Azimuth, 13 April 2015. I’ve started an informal online course based on this book on the Azimuth Forum. I’m getting pretty sick of the superficial quality of my interactions on social media. This could be a way to do something more interesting. The idea is that you can read chapters of this book, discuss them, try the exercises in the book, ask and answer questions, and maybe team up to create software that implements some of the ideas. I’ll try to keep things moving forward. For example, I’ll explain some stuff and try to help answer questions that people are stuck on. I may also give some talks or run discussions on Google Hangouts or similar software—but only when I have time: I’m more of a text-based guy. I may get really busy some times, and leave the rest of you alone for a while. But I like writing about math for at least 15 minutes a day, and more when I have time. Furthermore, I’m obsessed with applied category theory and plan to stay that way for at least a few more years. If this sounds interesting, let me know here—and please visit the Azimuth Forum and register! Use your full real name as your username, with no spaces. I will add spaces and that will become your username. Use a real working email address. If you don’t, the registration process may not work. Over 70 people have registered so far, so this process will take a while. The main advantage of the Forum over this blog is that you can initiate new threads and edit your comments. Like here you can write equations in LaTeX. Like here, that ability is severely limited: for example you can’t define macros, and you can’t use TikZ. (Maybe someone could fix that.) But equations are better typeset over there—and more importantly, the ability to edit comments makes it a lot easier to correct errors in your LaTeX. What follows is the preface to Fong and Spivak’s book, just so you can get an idea of what it’s like. Category theory is becoming a central hub for all of pure mathematics. 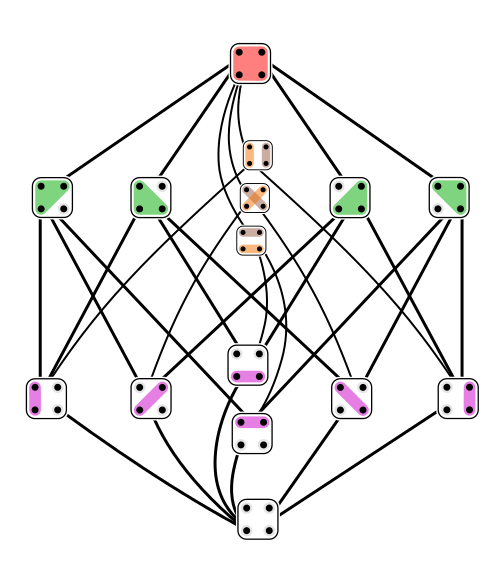 It is unmatched in its ability to organize and layer abstractions, to find commonalities between structures of all sorts, and to facilitate communication between different mathematical communities. But it has also been branching out into science, informatics, and industry. We believe that it has the potential to be a major cohesive force in the world, building rigorous bridges between disparate worlds, both theoretical and practical. The motto at MIT is mens et manus, Latin for mind and hand. We believe that category theory—and pure math in general—has stayed in the realm of mind for too long; it is ripe to be brought to hand. The purpose of this book is to offer a self-contained tour of applied category theory. It is an invitation to discover advanced topics in category theory through concrete real-world examples. Rather than try to give a comprehensive treatment of these topics—which include adjoint functors, enriched categories, proarrow equipments, toposes, and much more–we merely provide a taste. We want to give readers some insight into how it feels to work with these structures as well as some ideas about how they might show up in practice. The audience for this book is quite diverse: anyone who finds the above description intriguing. This could include a motivated high school student who hasn’t seen calculus yet but has loved reading a weird book on mathematical logic they found at the library. Or a machine learning researcher who wants to understand what vector spaces, design theory, and dynamical systems could possibly have in common. Or a pure mathematician who wants to imagine what sorts of applications their work might have. Or a recently-retired programmer who’s always had an eerie feeling that category theory is what they’ve been looking for to tie it all together, but who’s found the usual books on the subject impenetrable. For example, we find it something of a travesty that in 2018 there seems to be no introductory material available on monoidal categories. Even beautiful modern introductions to category theory, e.g. by Riehl or Leinster, do not include anything on this rather central topic. The basic idea is certainly not too abstract; modern human intuition seems to include a pre-theoretical understanding of monoidal categories that is just waiting to be formalized. Is there anyone who wouldn’t correctly understand the basic idea being communicated in the following diagram? Many applied category theory topics seem to take monoidal categories as their jumping off point. So one aim of this book is to provide a reference—even if unconventional—for this important topic. We hope this book inspires both new visions and new questions. We intend it to be self-contained in the sense that it is approachable with minimal prerequisites, but not in the sense that the complete story is told here. On the contrary, we hope that readers use this as an invitation to further reading, to orient themselves in what is becoming a large literature, and to discover new applications for themselves. This book is, unashamedly, our take on the subject. While the abstract structures we explore are important to any category theorist, the specific topics have simply been chosen to our personal taste. Our examples are ones that we find simple but powerful, concrete but representative, entertaining but in a way that feels important and expansive at the same time. We hope our readers will enjoy themselves and learn a lot in the process. 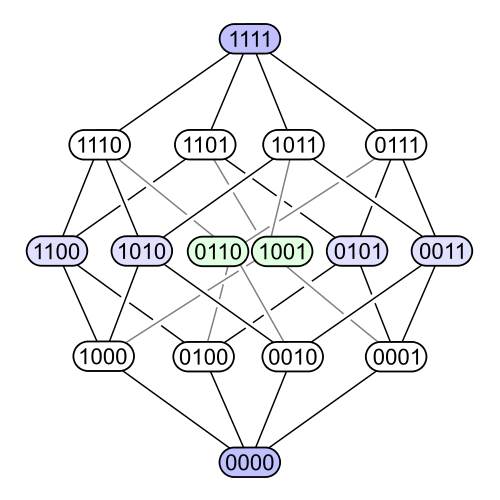 The basic idea of category theory—which threads through every chapter—is that if one pays careful attention to structures and coherence, the resulting systems will be extremely reliable and interoperable. For example, a category involves several structures: a collection of objects, a collection of morphisms relating objects, and a formula for combining any chain of morphisms into a morphism. But these structures need to cohere or work together in a simple commonsense way: a chain of chains is a chain, so combining a chain of chains should be the same as combining the chain. That’s it! We will see structures and coherence come up in pretty much every definition we give: “here are some things and here are how they fit together.” We ask the reader to be on the lookout for structures and coherence as they read the book, and to realize that as we layer abstraction on abstraction, it is the coherence that makes everything function like a well-oiled machine. Each chapter in this book is motivated by a real-world topic, such as electrical circuits, control theory, cascade failures, information integration, and hybrid systems. These motivations lead us into and through various sorts of category-theoretic concepts. We generally have one motivating idea and one category-theoretic purpose per chapter, and this forms the title of the chapter, e.g. Chapter 4 is “Collaborative design: profunctors, categorification, and monoidal categories.” In many math books, the difficulty is roughly a monotonically-increasing function of the page number. In this book, this occurs in each chapter, but not so much in the book as a whole. The chapters start out fairly easy and progress in difficulty. The upshot is that if you find the end of a chapter very difficult, hope is certainly not lost: you can start on the next one and make good progress. This format lends itself to giving you a first taste now, but also leaving open the opportunity for you to come back at a later date and get more deeply into it. But by all means, if you have the gumption to work through each chapter to its end, we very much encourage that! We include many exercises throughout the text. Usually these exercises are fairly straightforward; the only thing they demand is that the reader’s mind changes state from passive to active, rereads the previous paragraphs with intent, and puts the pieces together. A reader becomes a student when they work the exercises; until then they are more of a tourist, riding on a bus and listening off and on to the tour guide. Hey, there’s nothing wrong with that, but we do encourage you to get off the bus and make contact with the natives as often as you can. You are currently browsing the archives for the azimuth category.